I have no faith in anything Aresco does. Hopefully ESPN was feeling generous. Power 6 football baby, whoo!!! After we are on espn+ it will be more like power8 football...whoho! @puc86, is this good for UCF? Asking for a friend. Do you really believe that if we were on ESPNU Week 5 at 8pm with USC v Washington, Stanford v Washington State, UCLA v Arizona, etc. 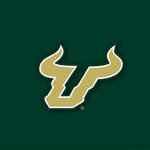 that the casual fan would be like, "Whoa... SMU is at USF tonight, hold the phone! I sure do hope this is on regular TV and not the internet!" But JTrue let’s face it if our games are on line it sends a message that we are not good enough to be on the regular espn networks. Regardless of ones belief about wireless, it’s still second class with fewer viewers...we would not even be in the back of the bus we would be on a tricycle eating fumes. But Brad let’s face it if our games are on line it sends a message that we are not good enough to be on the regular espn networks. Regardless of ones belief about wireless, it’s still second class with fewer viewers...we would not even be in the back of the bus we would be on a tricycle eating fumes. So you'd rather us take half the money and be on CBS where half our fans don't even get the channel?